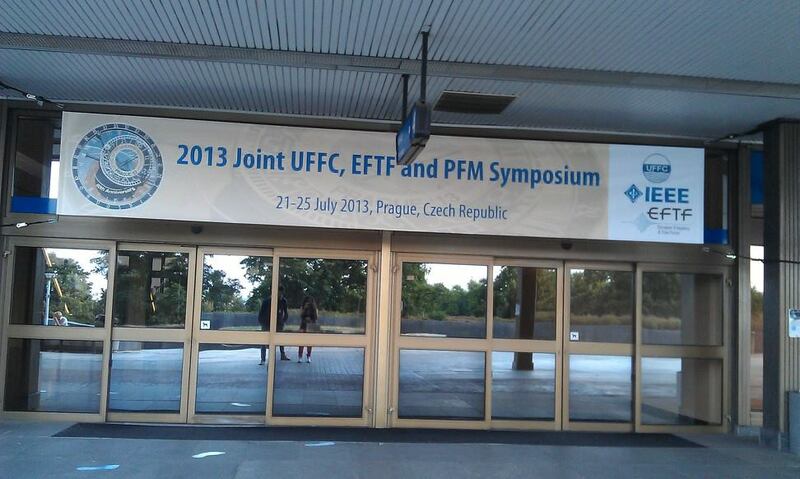 Our students Iker and Lola were in Prague presenting their works in this symposia which celebrates the 60th anniversary of the IEEE Ultrasonics, Ferroelectrics, and Frequency Control Society. Good Job! Just hoping they enjoyed it. This entry was posted on August 20, 2013 by Tom G. in Congresses, News.